Social Studies - Welcome to 2B! Flat Stanley travels the world and experiences many adventures. Learn about the world as he has adventures from all corners of the globe! 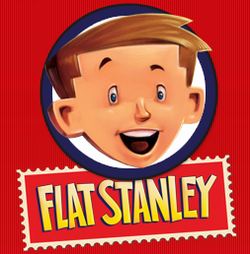 Flat Stanley's web site has many games, activities, and book lists for you to enjoy. Be sure to progress through each level slowly and remember where each continent and ocean lives on the map and globe! We have stared learning about our Earth's geography beginning with landforms. 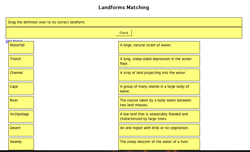 Click on the letters to access the online dictionary activity about landforms. How about this continent song??? Match each landform to its definition...some are tricky! Click and drag each landform name to its correct place in line! 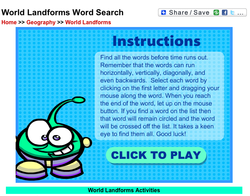 Follow the directions to have find finding landform vocabulary. 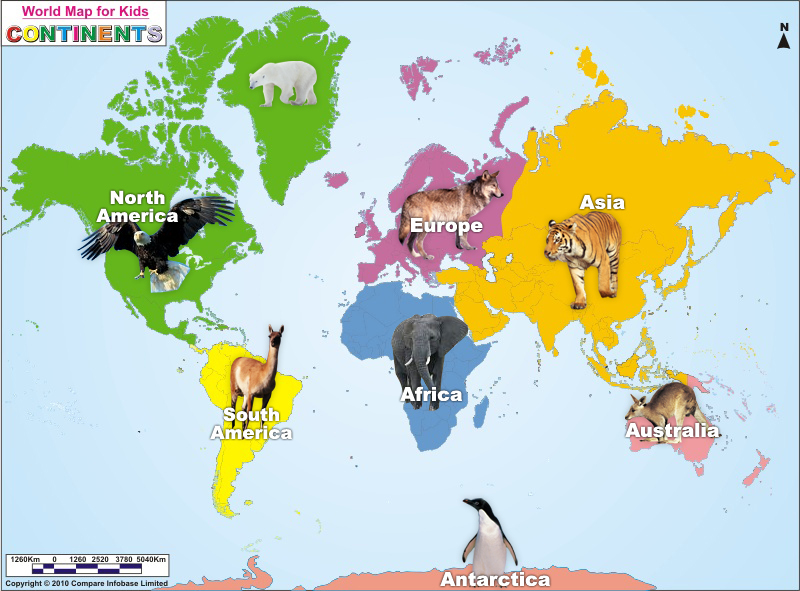 Click here to practice with your landforms using Easiteach!